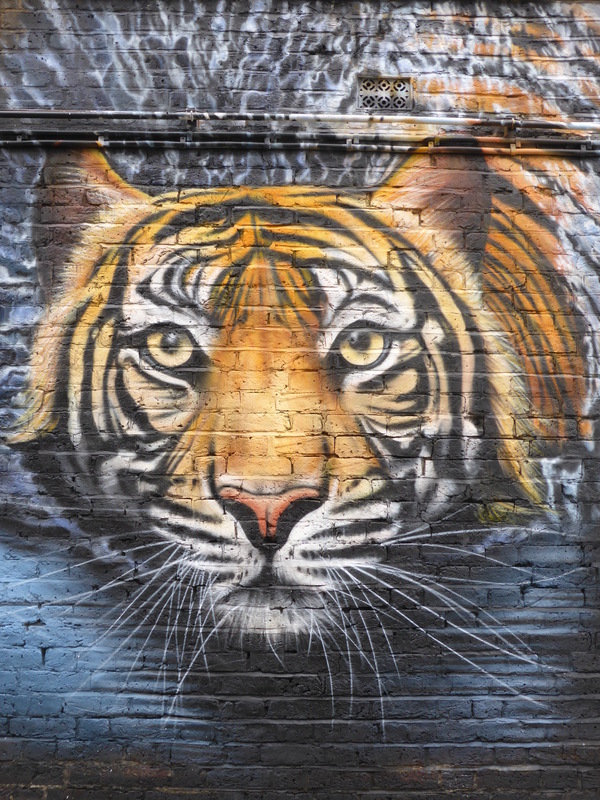 It’s only been a month since we last reported on Camden’s Street Art, but that doesn’t mean we haven’t been popping by for all the newest happenings in the area. 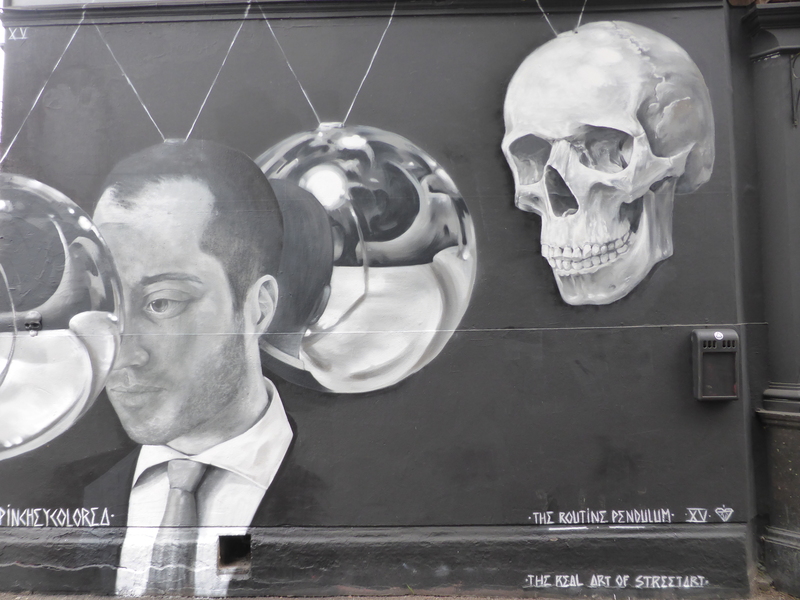 In that time, despite so much of Camden’s great street art being lost to redevelopments, some really remarkable works have been put up, demonstrating that The Real Of Street Art won’t let Camden remain without plenty of great art on its streets for long. 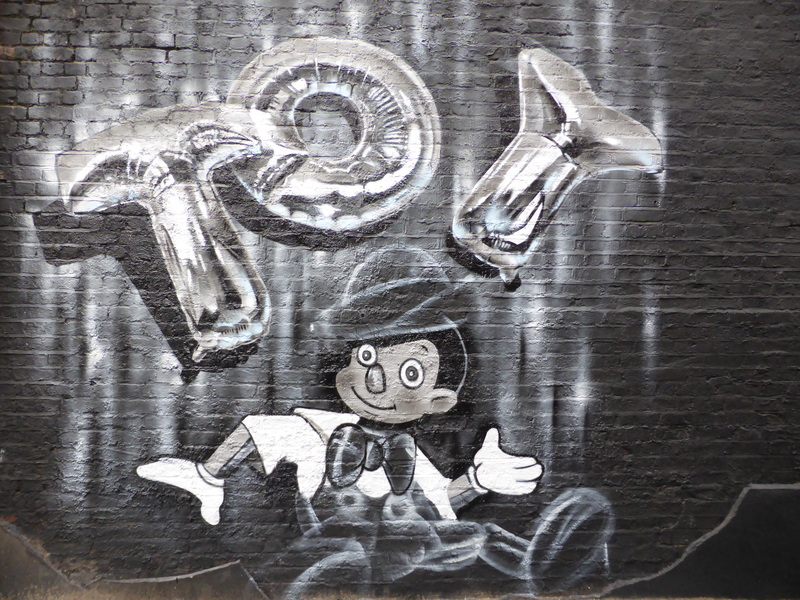 It’s been a great month or so in Camden for Street Art, with the particular highlights for us coming from Pinche Y Colorea, JXC, Gnasher & Simoni Fontana. Impressive piece by Spanish artist Pinche Y Colorea. 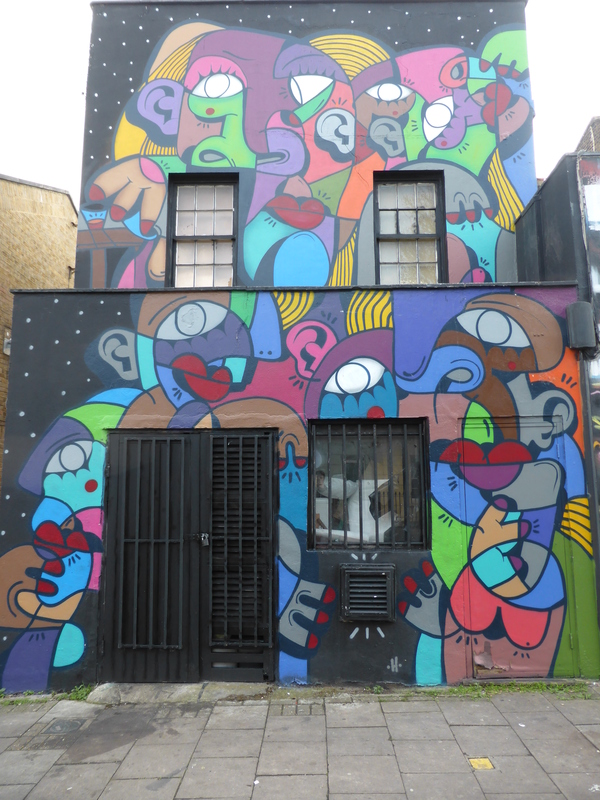 In the alleyway next to the Beatrice Pub on Camden High Street. 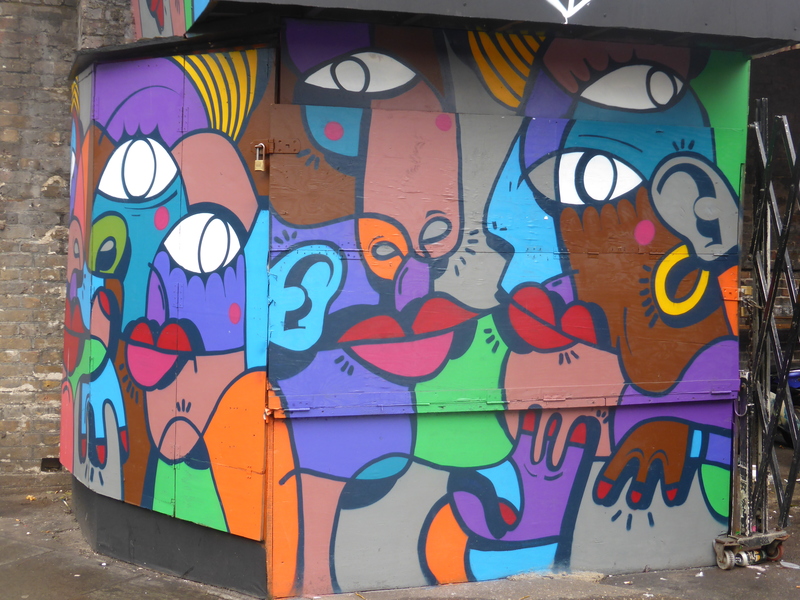 First work from Hunto, laying out his bright and colourful cubist faces. On Camden High Street. Formidable JXC work, just stunning. In Hawley Mews. Intricate origami owl from Airborne Mark. In Hawley Mews. 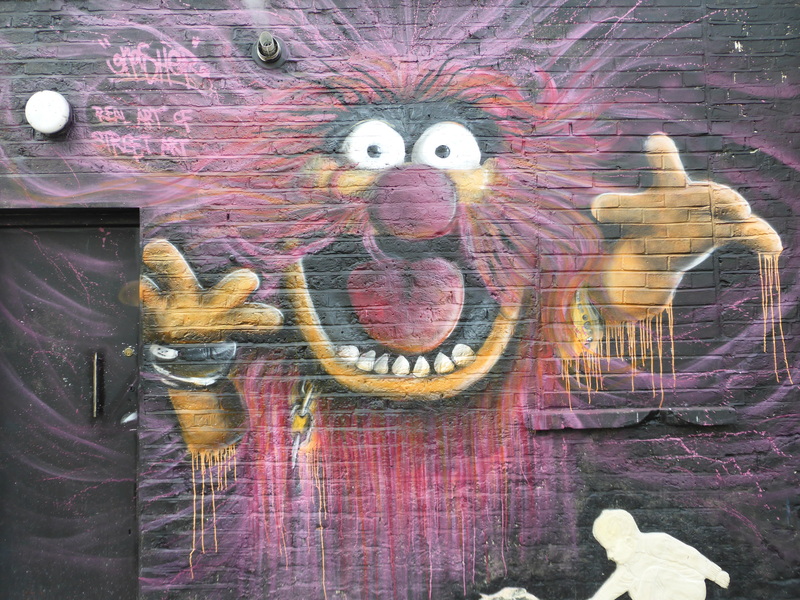 Excellent work from Gnasher, superb subject, so fun. In Hawley Mews. 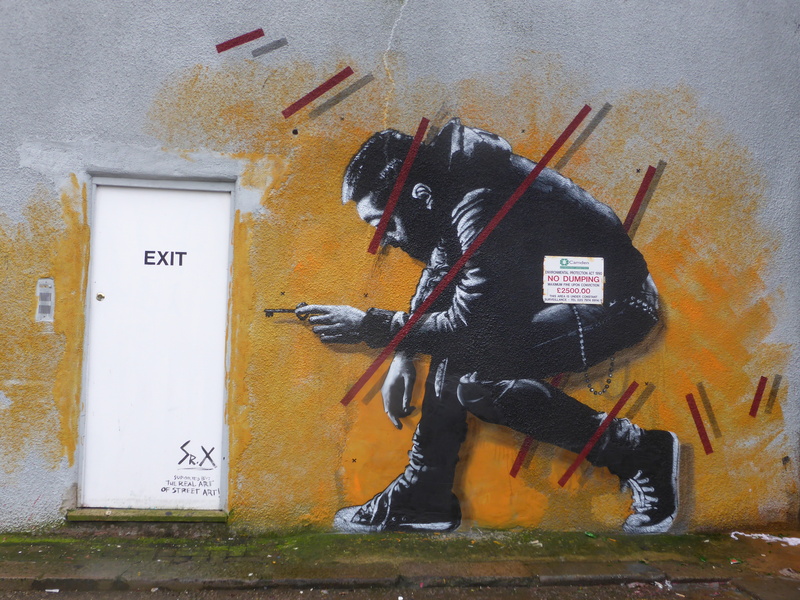 Clever work from Spanish artist Senor X. In Hawley Mews. 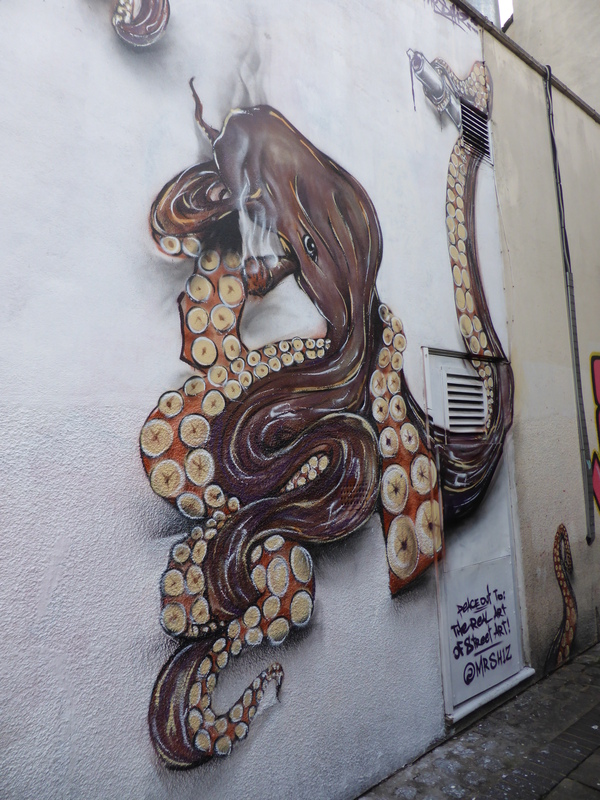 Smoking Octopus from French artist Mr Shiz. In Hawley Mews. Work from Dotmaster. In Hawley Mews. 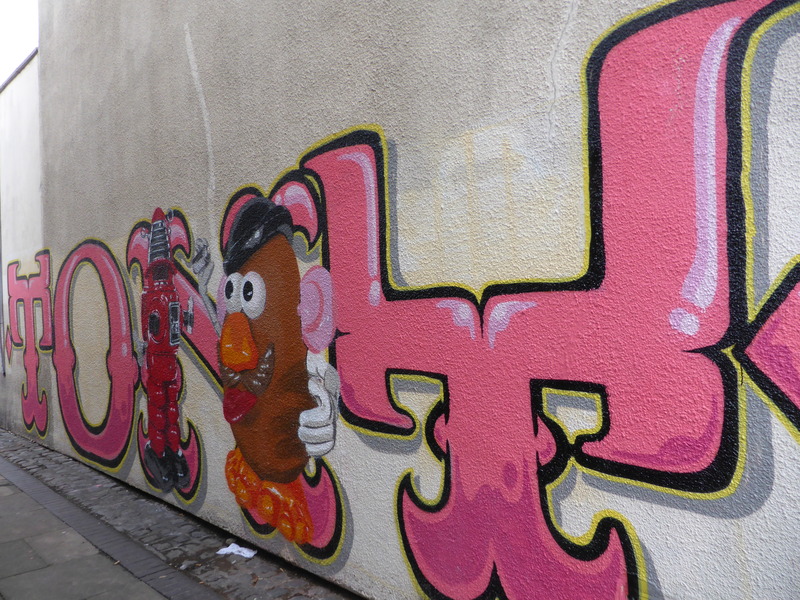 Larger than life work from Hunto, his second recent work in the area. In Hartland Road. 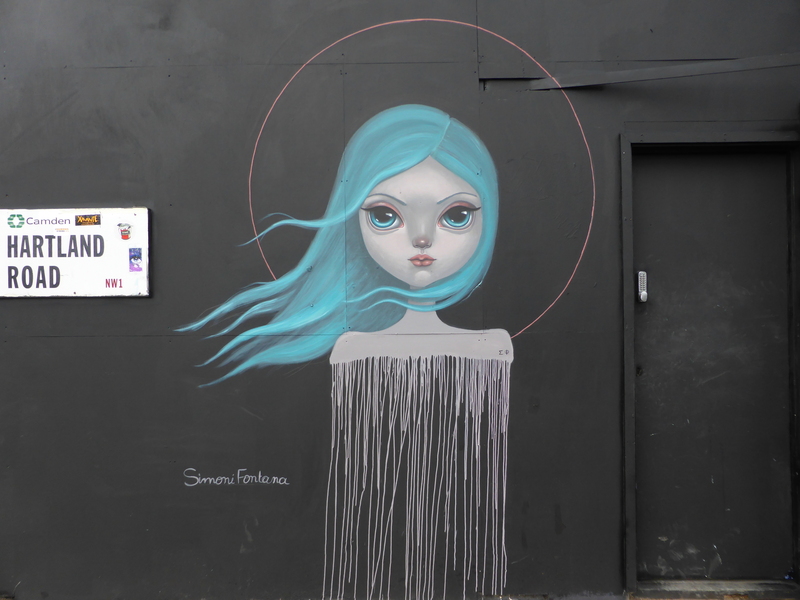 Striking piece from Greek artist Simoni Fontana, who was over for Femme Fierce Reloaded. In Hartland Road. Delightful work from Greek Artist Argiris Ser. In Hartland Road. 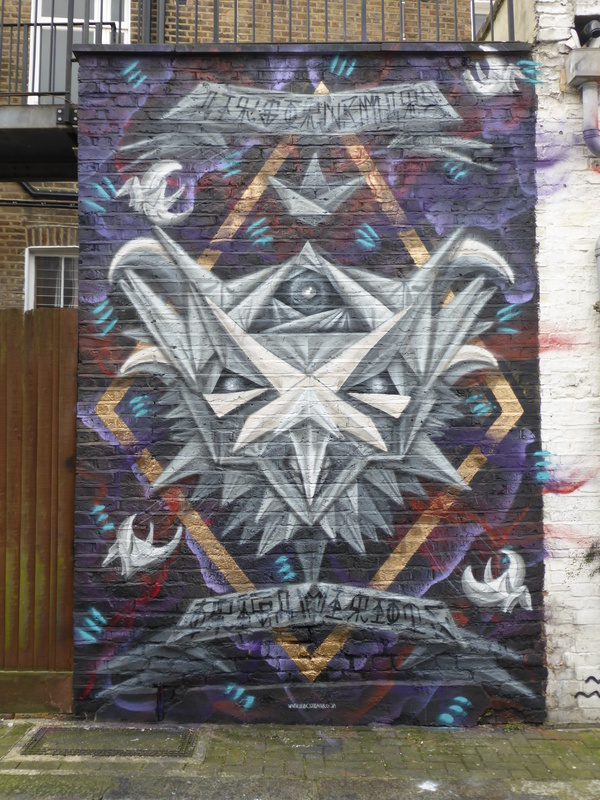 Second piece from JXC designs in Camden, completed on Tuesday. 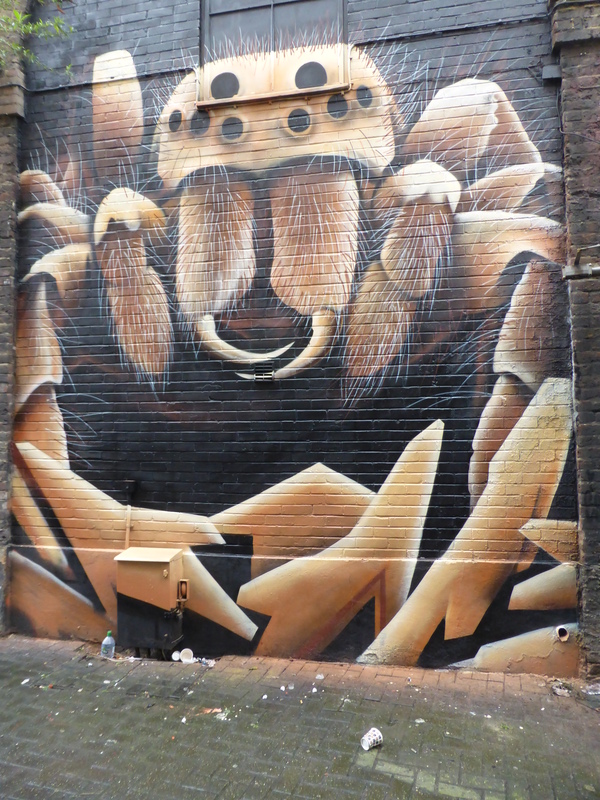 Incredible piece in Water Lane. Incomplete, yet still impressive work from the talented Fanakapan. 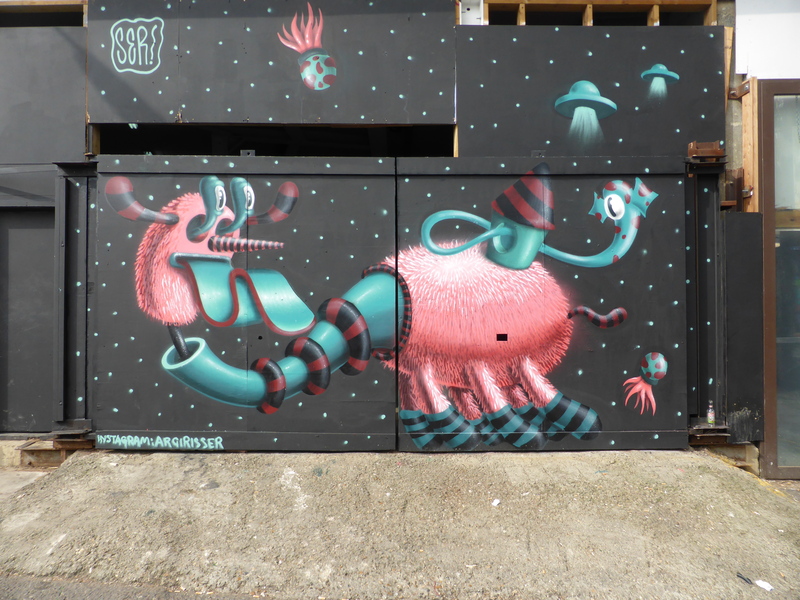 Who was unfortunately not allowed into Water Lane to complete his piece, due to the area been closed off indefinitely now. Satisfying to witness nonetheless. In Water Lane. You’re welcome, interesting subject from Mr Shiz, well executed also. Unfortunately the alleyway where this resides, is very narrow. So it’s hard for a photo to do it justice. Glad you enjoyed anyway.